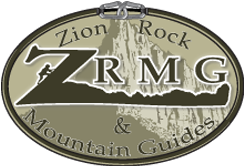 Hiking in Zion on your own can be great, but there can be great benefits in hiring a guide for the day. A guide can help interpret your surroundings and make a day of hiking an even richer experience by helping you understand the forces at work here. If you are unsure about the terrain or are looking to push yourself with regards to your hiking potential or yo ur fear of heights, a guide can be of great value in these areas as well. Having a guide for the day also means that they can impart local knowledge about the best places to eat, what times of year to visit in th future, and suggest other unique activities to be had while staying here.